Once the colder weather hits, I am all about making soup. This Tortellini Vegetable Soup with Swiss Chard and Beans is one my mom has been making for years. I always look forward to first pot of the season, which is usually in November or December. This soup is so simple to prepare. Chop, chop, chop and then everything simmers in one big pot and comes together in about 15 minutes. I say make it on a Sunday and enjoy it all week! Onions, celery, sweet potato, garlic, Swiss chard, zucchini, green beans – there is a lot of chopping and measuring involved in making this soup. However, once everything is chopped and measured, you just bring to a boil and simmer. I was lucky enough to use some amazing new products from KitchenIQ and it made the prep work so much easier and fun! I love the idea of keeping separate cutting boards for veggies, fruits and meats to prevent cross contamination and the KitchenIQ Flexible Cutting Boards are perfect for this practice. You can assign each color, chop and then easily slide ingredients right into your pot or pan – love! I also used the new IQ Smart Wireless Nutrition Scale. It is sleek, easy to use and store and has options to weigh solids and liquids. I can tell you right now I’ll be using this all of the time. Perfect for measuring and portioning ingredients and food. It’s even on Oprah’s 2016 list of Favorite Things! 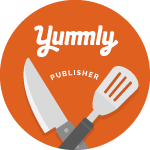 And I’m so excited to share this KitchenIQ goodness with one lucky Preserves Project reader! Just head over to my Instagram page to get details and enter to win your own set of KitchenIQ Flexible Cutting Boards and Smart Wireless Nutrition Scale. I’d say you can give your prizes as gifts, but I know you’ll want to keep them all to yourself! In a 4 quart pot, bring 8 cups of chicken, beef or vegetable broth, 1 chopped medium onion, 1 cup diced celery, 8 oz. of fresh, trimmed and chopped green beans and 1 tsp. of chopped garlic to a boil. Reduce heat and simmer until beans are tender, about 5 minutes. Next, add 2 diced medium zucchini, 1 peeled and diced sweet potato and 1-15 oz. bag of tortellini. Return to a simmer and cook until vegetables and pasta are tender, about 5 minutes. Stir in 1 lb. of trimmed and chopped Swiss chard and 1-19 oz. can of rinsed cannellini beans. Cook about 5 minutes more until its heated through. Serve with fresh black pepper and grated Parmesan cheese! This looks amazing… We’ve been slacking in the kitchen lately, ever since my husband took over the meal planning responsibility. I’m sending him your way for some fresh inspiration! Thanks Kate! Have him print out The Dinner List so he can keep track of family favorites! This sounds fantastic, Stacy! Perfect for a cold day like today! Wish I had some right now!